Two General Purpose Outputs (GPOs) can be used for controlling optional boost control solenoids, anti-siphon solenoids, lamps, relays, LEDs, etc. Torqbyte CM5 is a highly advanced programmable pump controller capable of simultaneously driving two water methanol pumps, two fuel pumps or one of each pump type. Each of the CM5's two main outputs is capable of continuously supplying up to 20A of current to each pump. 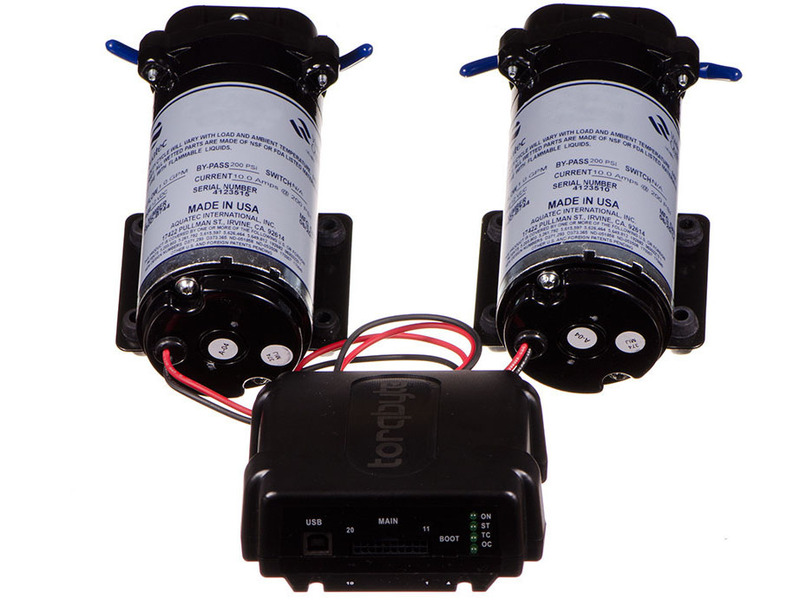 Torqbyte CM5 can directly control two Water Methanol Injection pumps or two in-tank Low Pressure Fuel Pumps (LPFPs) although the most popular configuration is using the Main output for Water Methanol Injection Pump control and the Auxiliary output for controlling an aftermarket in-tank LPFP. Nearly all other commercially available water methanol injection kits are shipped with rudimentary pump controllers packaged inside inexpensive hobby electronics enclosures or gauge pods. These controllers vary the injection volume based a single parameter – usually boost pressure. No consideration is given to air volume and the user is not provided with very useful means of fine-tuning or customizing their water methanol delivery. These design limitations result in the same quantity of water methanol mixture being introduced into the cylinders at all engine speeds, which is a less than optimal approach. In order to establish accurate and predictable water methanol injection, a good estimate of air volume is required. Torqbyte CM5 is the only controller on the market that accurately establishes the air volume by calculating pump duty based on two parameters: manifold pressure and engine speed. The CM5 water methanol injection delivery is fully digital and is completely customizable by the user through a 16x16 table (i.e. a 256 point map) which is downloaded into the unit. Extra water methanol required at a certain RPM/boost point, in an otherwise flat map? No problem. A small dip needed at another RPM/boost point? No problem. The CM5’s on-board microcontroller performs 2-vector linear interpolation and calculates duty values which change gradually between adjacent cells for an unprecedented level of fine control. Need extra water meth at a certain RPM & boost point, in an otherwise linear map? No problem. Need to add a small dip in water meth delivery at another RPM & boost point? No problem. 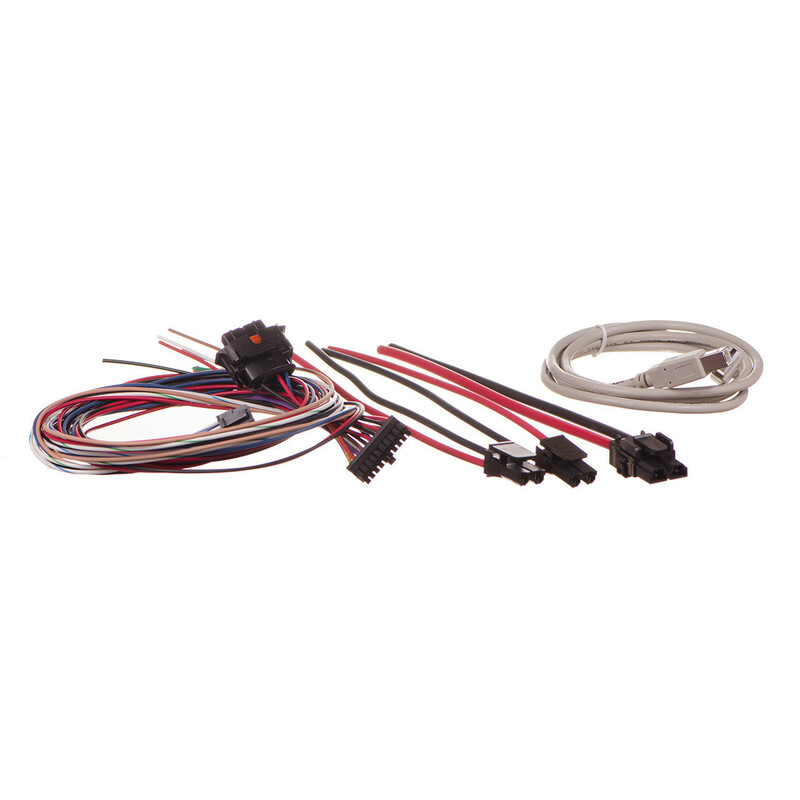 Torqbyte CM5 is supplied with a 4-Bar MAP sensor, but the TorqTune software allows you to adapt the unit’s operation to any MAP sensor of your choice. However, if the user does not want to base their water methanol injection on RPM and boost they don’t have to. With the CM5, the user is in full control. Pump duty can be based on just RPM or just boost. If other control schemes are desired, the CM5 provides two spare 0-5V analog inputs and the boost axis in the table can be replaced by one of these two spare inputs so that the user can base the pump duty on 0-5V variable signal, such as a MAF or TPS or even a simple manual pot if so desired. With Torqbyte CM5, the user is in full control of their pump operation at all times. -and you're set. There is a huge array of features, but tuning is simple and direct. 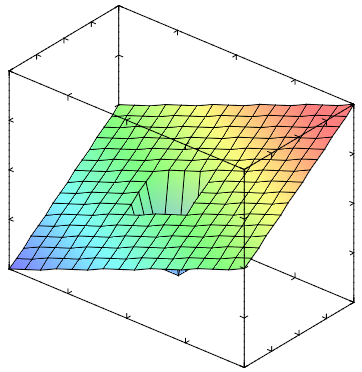 The CM5 stores these 3D duty maps in its on-board, non-volatile memory. The TorqTune software can read and modify these maps in calibration files and allow users to open, edit and share them. Pump duty cycle, boost, RPM and a number of other parameters can be logged and played back using the TorqTune software. 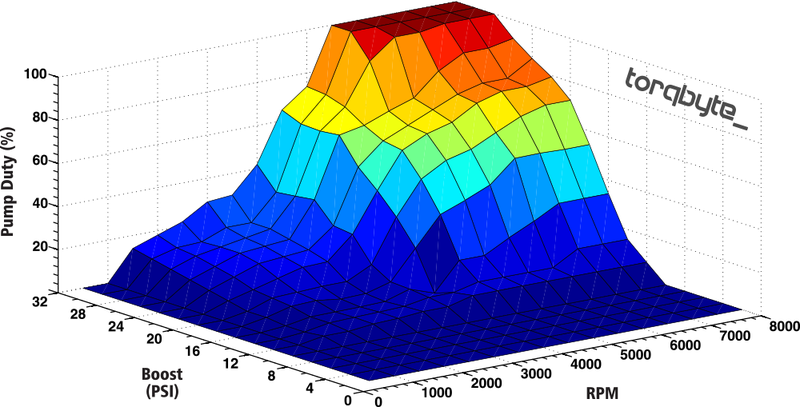 Users can edit and customize water methanol calibrations for their specific engine configuration. In the same manner that it controls the water methanol injection pump duty, Torqbyte CM5’s Auxiliary Output 3D duty map can be used to completely customize the operation of an aftermarket low pressure fuel pump (LPFP), giving the user full control of the vehicle’s fueling. Mode 1 - Duty Table with Pump Priming Delay: This is a full-time pump controller mode in which the factory fuel pump controller J538's commands are ignored and the pump duty is fully controlled by the user-entered 256 point fuel map that bases fuel pump duty on engine RPM and manifold pressure (or one of the two spare 0-5V inputs). 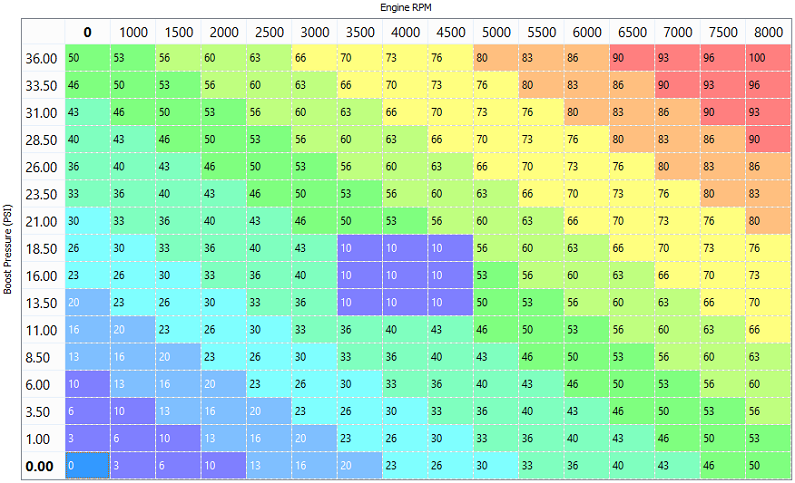 Using TorqTune software, the fuel pump duty can be logged for post analysis and fine-tuning. This mode is ideal for high performance set-ups requiring high volume fuel delivery. Because in this mode the CM5 needs to handle the fuel system priming on ignition, a field is provided where the user can enter a Fuel System Priming Delay which is the amount of time the CM5 will run the fuel pump at 100% duty to prime the fuel system. WARNING: Only use this mode for Fuel Pump Control. Never select this mode if there is a Water Methanol Pump attached the Auxiliary output. Doing so will run the Water Methanol Pump at 100% when the engine is not running which will hydrolock the engine. 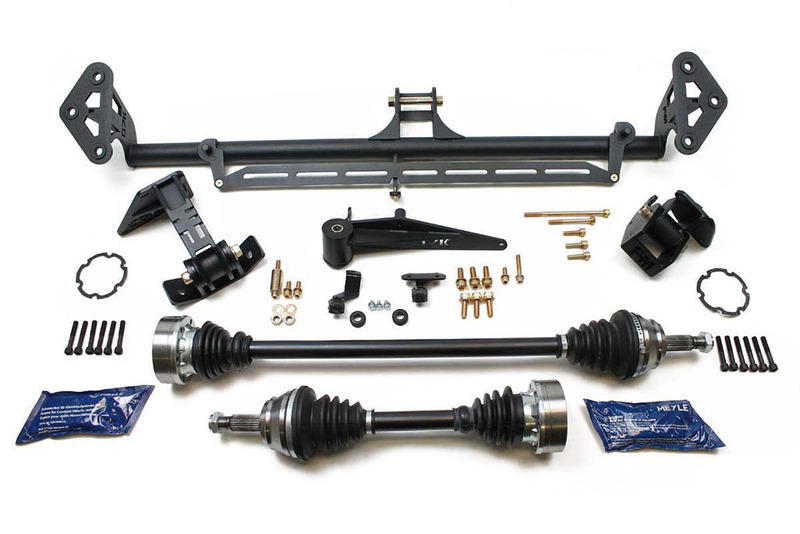 Mode 2 - Duty Table with OEM Control: This is a part-time pass-through mode in which the pump duty is controlled by the ECU and the factory fuel pump controller J538 below some boost and RPM set point. Above that set point the CM5 jumps in and takes over applying the user-programmed duty table values to the LPFP. Mode 3 - OEM Control Pass-through: This is a full-time pass-through mode in which the pump duty follows the factory pump modulator’s command 100% of the time. Pump duty cycle is controlled by the factory ECU and the factory fuel pump controller J538, but the CM5's hardware relieves the factory controller from supplying the high current required by the aftermarket LPFP preventing it from overheating. Mode selection is done by selecting the appropriate setting in the Auxiliary Output control drop down menu in TorqTune software. 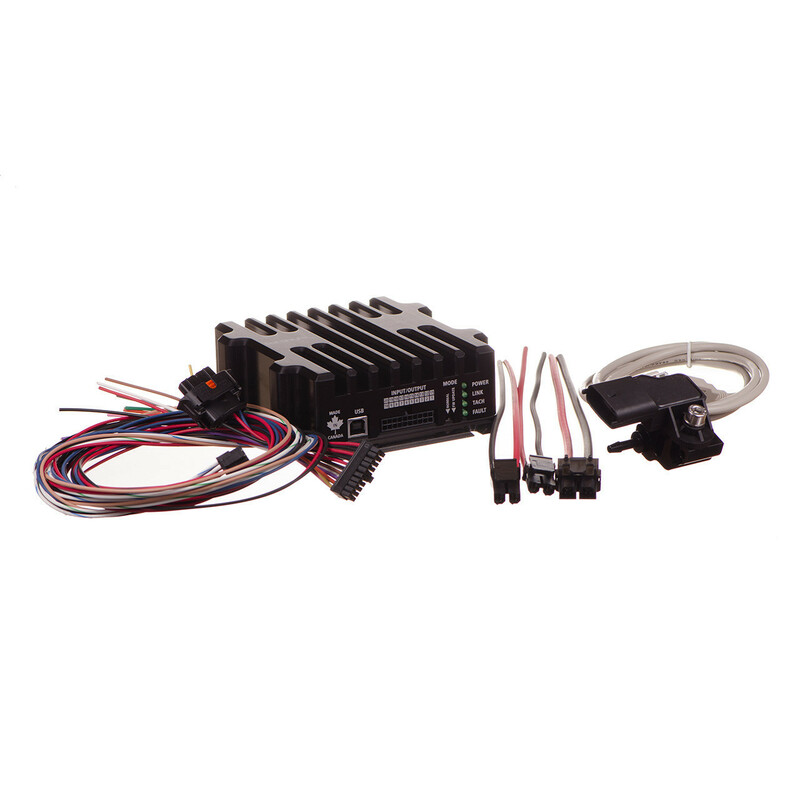 Torqbyte CM5’s high current output capability together with the unique factory fuel pump modulator hardware allow it to overcome the challenges of increased fueling in returnless direct-injection systems in which the ECU and the OEM fuel pump modulator perform closed loop control of the fuel system line pressure. 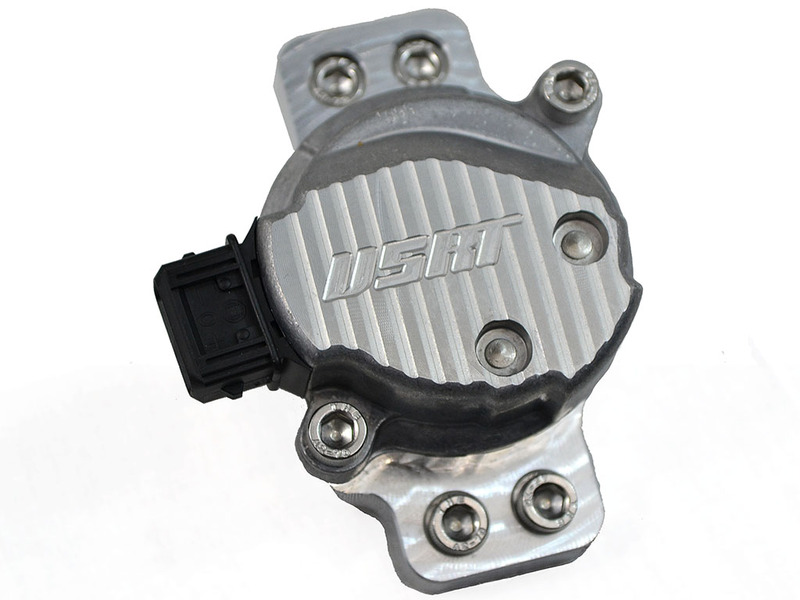 In these systems, the factory fuel pump modulator is sized for the factory in-tank low pressure fuel pump. 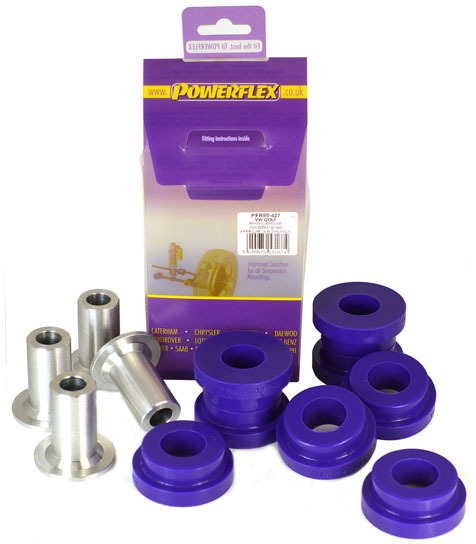 More powerful aftermarket in-tank pumps overload the factory fuel pump modulator and lead to overheating and intermittent operation. Torqbyte CM5 installs in-line between the fuel pump modulator and the upgraded fuel pump to relieve the factory system from the current supply role. The CM5 is capable of continuously supplying the aftermarket fuel pump with up to 20A of current. Even configurations that retain the use of a factory fuel pump will still benefit from the CM5’s more efficient output circuitry driving the fuel pump. 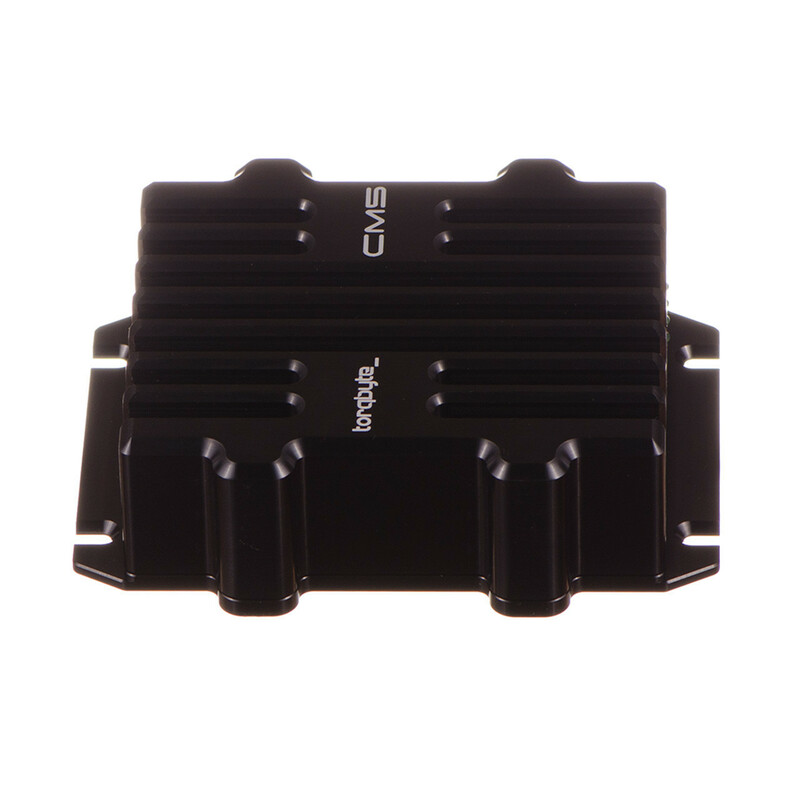 Besides the two high power outputs, Torqbyte CM5 also provides two low power outputs whose operation is also fully customizable through the use of respective 256 point maps that vary the output duty based on engine RPM and one other 0-5V input parameter such as boost pressure. The low power outputs are configured as pull-to-ground type and are capable continuously sinking up to 1A from each load. A typical use for one of these outputs is operating an anti-siphon fluid control solenoid which prevents methanol water mixture siphoning in installations where the water methanol pump is mounted below the water methanol tank or where the water methanol nozzles are mounted behind the throttle body and leak under exposure to constant engine vacuum. This same solenoid can also be used to restrict fluid flow momentarily allowing the water methanol pump to build line pressure and ensure optimized atomization of the water methanol mixture. Another use for these outputs is controlling an additional high-impedance injector. This additional injector can provide additional fueling when the user's set-up has outgrown the capabilities of the stock direct injectors. In addition to improving the overall fuel delivery, this additional injector can sometimes help alleviate some of the problems typically seen in direct injection systems, such as carbon buildup. Another use for these outputs is for controlling turbocharger boost. Torqbyte CM5 can be configured to act as an electronic boost controller and maintain desired boost levels by duty cycling a user-supplied boost control solenoid that meters the amount of boost pressure applied to the waste-gate diaphragm. Desired boost set point are monitored and closed-loop feedback control of the actual boost is performed by a digital PI (Proportional Integral) or PID (Proportional Integral Derivative) controller. The user is able to vary all of the PID controller parameters. Every PID internal state can be logged in real time and played back using the Torqtune software giving the user unprecedented control of their boost control. Other uses for these outputs are activation (or deactivation) of loads such as relays, lamps or LEDs that can be used to control other systems in the vehicle or provide visual indication to the driver based on the 256 point table configuration. 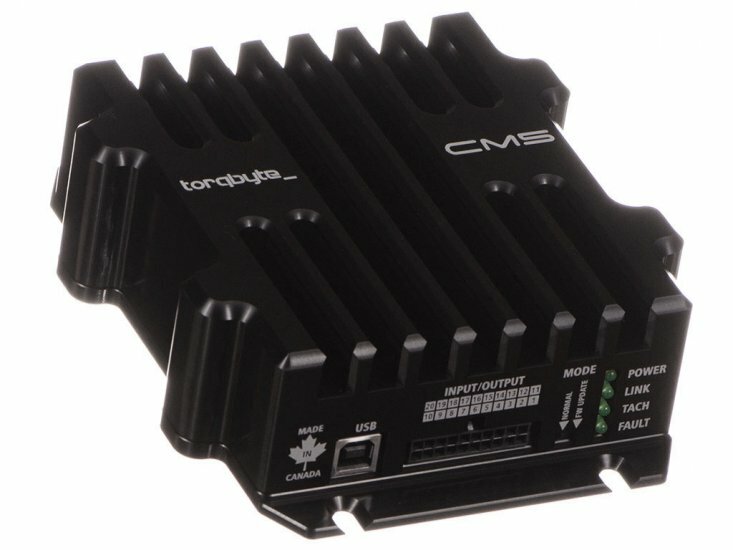 Torqbyte CM5 provides two spare 0-5V analog inputs. Either of these spare values can be applied to any of the four 256 point tables instead of the default MAP sensor. One of these inputs is typically used monitor a boost set-point from a manual potentiometer while the other is typically used to read the conditioned output from a Wideband O2 sensor controller. Many other uses are certainly possible and are only limited by the user’s configuration. 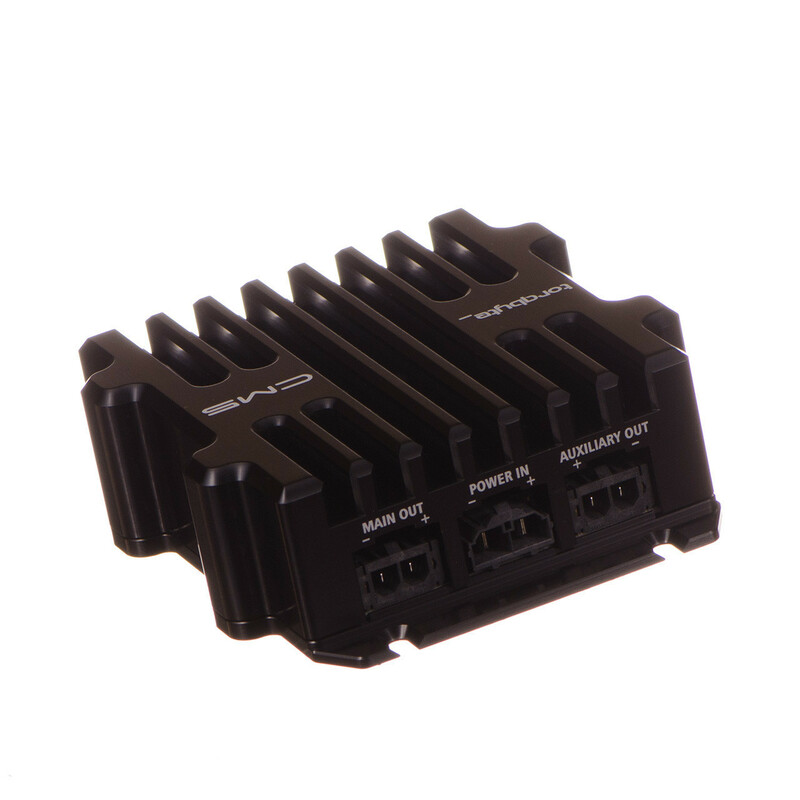 Torqbyte CM5 provides the user with two active-low logic inputs. An open circuit on these two inputs is considered inactive. However, connecting either of these inputs to ground, through a switch or a relay, signals an active state to Torqbyte CM5 and allows it to take a pre-defined action. For example, if the user has configured the CM5 for boost control, these inputs can be used to select between two boost set-points or put the car in valet mode where the boost is set to the lowest possible (i.e. wastegate spring) boost level. 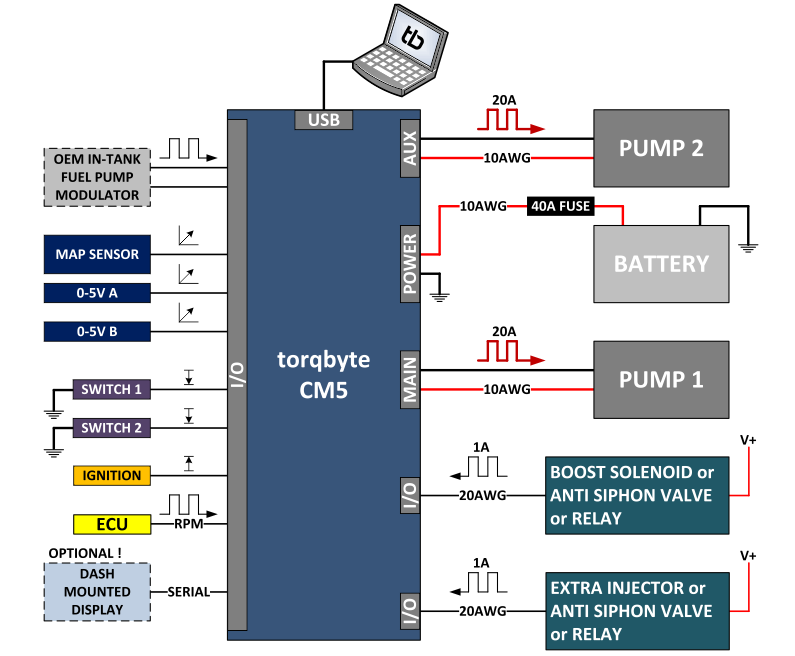 Torqbyte CM5 actively monitors the current passing through its dual high power pump outputs. The user is able to set the unit’s undercurrent and overcurrent limits using TorqTune software to guard against problems that could be caused by electrical malfunctions or component defects in their fuel or water methanol injection system. For example, if excess current draw is detected that exceeds the user-entered overcurrent limit; it could be an indication of a short circuit in the pump or in the wiring or a blocked line which is causing the pump to overload. On the other hand, if the current draw drops below the user-entered undercurrent limit; it could be an indication of a break in the wiring, an empty tank, or a faulty pump. The CM5 can detect and flag these faults to the user or can take action like reducing boost to its lowest setting to protect the engine (only in configurations where the CM5 is controlling the boost solenoid). This is a feature not available on any other controller. Torqbyte DM1 display module is available for purchase separately. Each of the CM5's high power outputs can supply the pump with up to 20A of current. If even more current is required, it is possible to slave one or two Torqbyte PM3 Pump Amplifiers to get up to 36A of current from each slaved output. 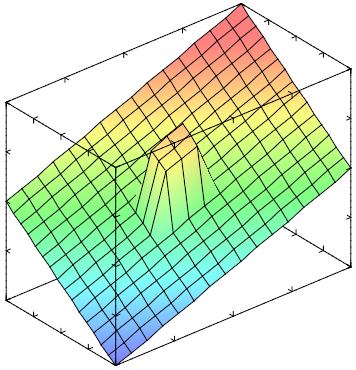 This free software allows users to fully configure the operation of the Torqbyte CM5. 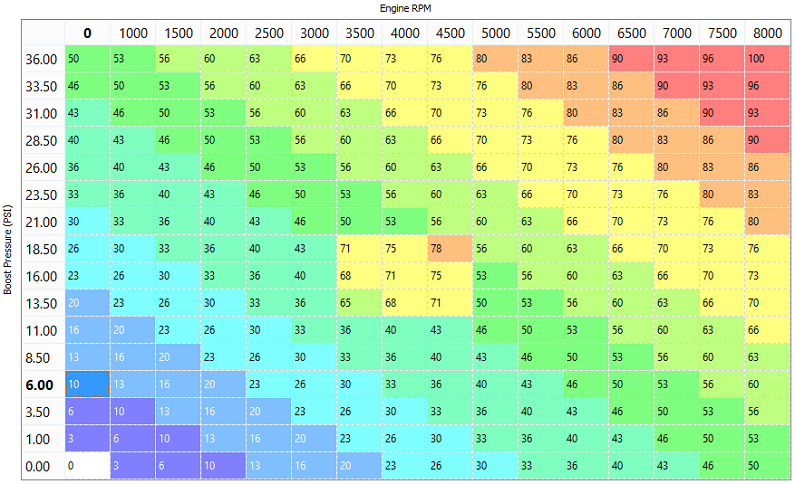 Certain parameters, such as duty cycle maps, can be adjusted with the engine running for real-time tuning. Additionally, TorqTune allows the user to live view many of the unit’s internal parameters, log them to a file and save them for later playback or for sharing with others. These advanced functions allow the user to observe the effects of various configuration changes in order to achieve unprecedented control of their methanol injection and/or fuel pump operation. The feature set provided by Torqbyte CM5 and its accompanying TorqTune software is not available with any other water methanol injection or fuel control system.